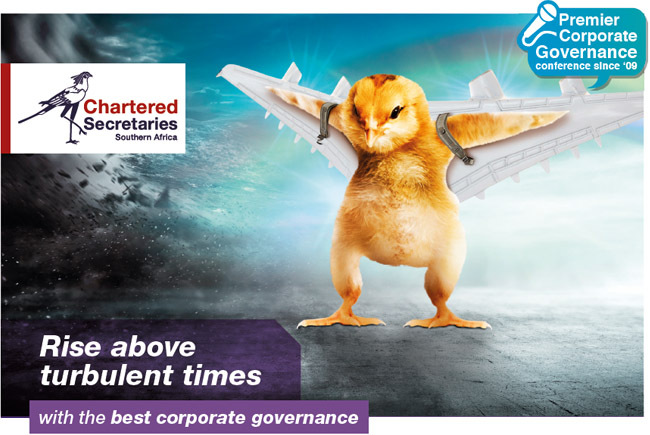 The Premier Corporate Governance conference is taking place on Monday 18 & Tuesday 19 September 2017 at Montecasino (Ballroom). "He built an unrivaled reputation for professionalism, integrity and fairness with his morning talk show on 702. Archbishop Desmond Tutu told him his show was not a radio show but a mission." For 17 years he awoke at 2:15AM and continued broadcasting in the face of death threats. If anyone is qualified to talk passion, discipline and integrity, the person is John Robbie. He won nine caps for Ireland and, with the 1980 British and Irish Lions, played in the fourth test against the Springboks, the only test victory for the Lions in the series. He toured South Africa with Ireland in 1981 and, as a result, lost his job. He immigrated to South Africa that year and became a South African citizen in 1994. In South Africa he won 83 caps for Transvaal and sat on the bench for the Springboks four times and played for them on the internal tour in 1985. No caps were awarded for this tour. John was voted one of the five SA players of the year in 1987. John’s working career in South Africa began with the National Trading Company in Johannesburg. He worked in technical sales and sold to companies such as Sasol, Eskom and the mines. He joined 702 in 1986 as a sports reporter and twice won the SA Sports Journalist of the Year award, once for radio and once for television. He is also an Ambassador for the Laureus Sport for Good Foundation. In 1990 he moved into current affairs on 702 and hosted the controversial Talk at Ten show that culminated with him hosting the Breakfast show for a total of seventeen years. In that time both audience and revenue figures increased greatly and John has won both best morning host and best morning show on multiple occasions. Eugene de Kock, the apartheid assassin, revealed that he had once been instructed to kill John because of the influence of his show. He had many death threats and attempts at intimidation over the years and, on a number of occasions, kept on broadcasting despite bomb threats being received. In 2015 John had a star in the Constellation of Perseus, named after him in recognition for work he did with the Reach for a Dream Foundation. John recently retired after thirty years on 702 and is pursuing a number of projects. He holds a B.Sc honours degree.